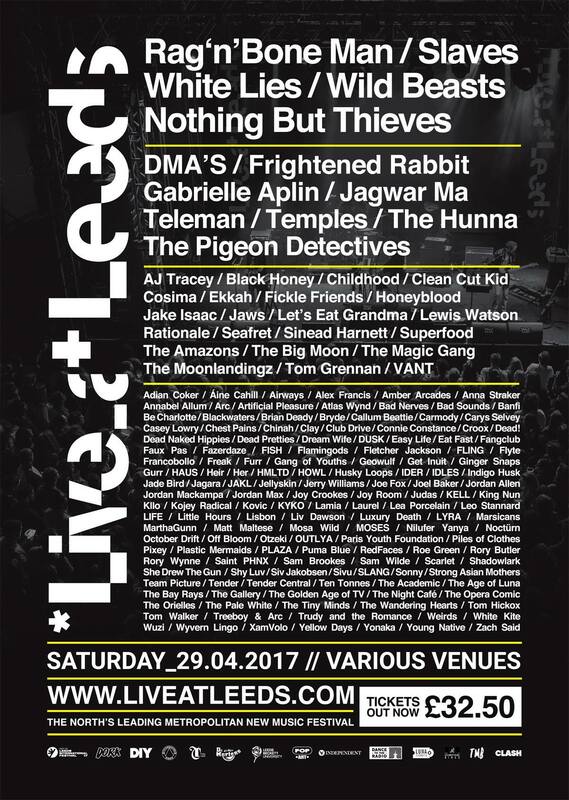 Live At Leeds is one of the true highlights of the British Festival Season. A metropolitan festival which has still stayed close to its multi-venue roots with a roster of acts so trusted that it is worth buying your ticket before any announcement. It’s so good that it encourages Lancastrians to travel across to the White Rose county to take in all they have in store. Whilst Popped Music are regular visitors to the festival, it is one of Team Popped’s debut at the festival – and he was so excited by the prospect that he offered to drive in order to secure his space in the car. As you would expect there are numerous bands playing who we view as not just favourites of Popped Music, but also friends of Popped, so we have set ourselves the challenge of watching all new acts. It won’t happen of course – as there’ll always be room for sneaking in to watch Freak, The Amazons or The Big Moon – but we are going to do our damnedest to succeed in that mission. In fact, if you have any suggestions of bands we should check out, tell us on Twitter @poppedmusic and why. If we like them, you’ll probably get asked for future suggestions. We won’t block anybody for bad suggestions though, just try to steer you to a path of future musical joy. Bolton’s finest musical entertainer even though Peter Kay has had hit records. Jordan Allen is a natural talent who has wit, choruses and a live show that could drag the cast of Eastenders out of the doldrums. Whilst he is known for having a committed live following, an event like this in front of a strange audience could really be the making of him. One of the coolest acts on the circuit at the moment, Haus provided standout moments throughout festival season last year. There is just something about this band that makes you want to shutter out the world and relax. Suave without being too cool for school yet able to fire out a proper tune at a moment’s notice. Get involved in watching them. With Numb Blood being one of the contenders for album of the year from early 2017, and a live show that is one of the most exciting around, it seems almost stating the obvious to suggest that you watch this band. If you have not seen VANT yet, watch them and you will remember exactly why rock music is one of the most thrilling adventures this planet of ours has to offer.